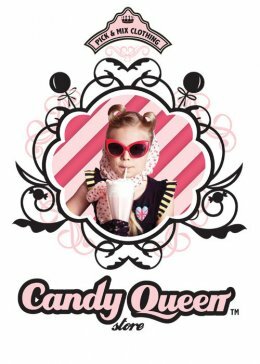 Candy Queen Store is pick and mix fashion label for girls. Our range consists of customisable t-shirts with detachable accessories that pop on and off. Branching from the concept of pick n mix sweets this theme reflects in our branding and merchandising.